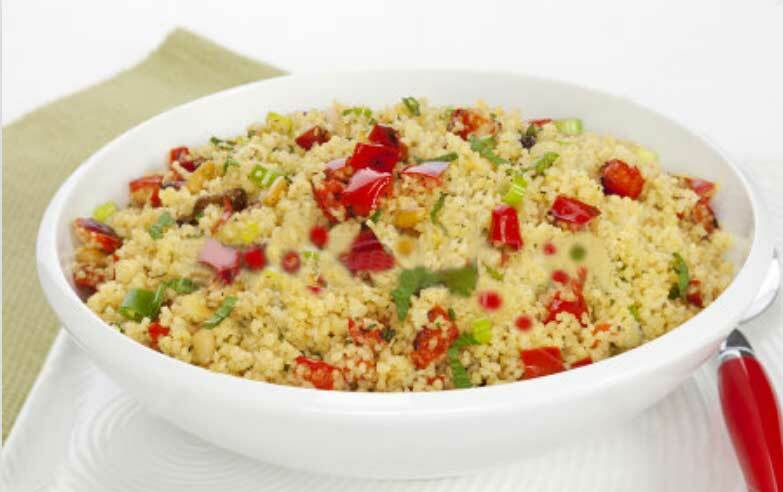 Now you are right point on easy couscous salad recipe. A perfect accompaniment to the Ground Lamb in Phyllo Pastry, this salad takes no time to make and is even better the next day. Fresh herbs are important in this recipe, don’t substitute dried ingredients. If you aren’t a fan of cilantro, use more parsley or fresh dill. Heat the broth to a boil in a medium saucepan and remove from the heat. Stir in the couscous, cover and let sit for 10 minutes. In a food processor, blend the cilantro, parsley, and olive oil. Fluff the couscous with a fork and spoon into a serving bowl. Add the cilantro and parsley mixture and all the other ingredients to the cooled couscous, mix well and season with salt and pepper.